Car, truck, bike, and specialty vehicle show! Food trucks, vendor booths, kids area with inflatables, silent auction, goodie bags, event shirt comes with every car registration, and live music all day!!! 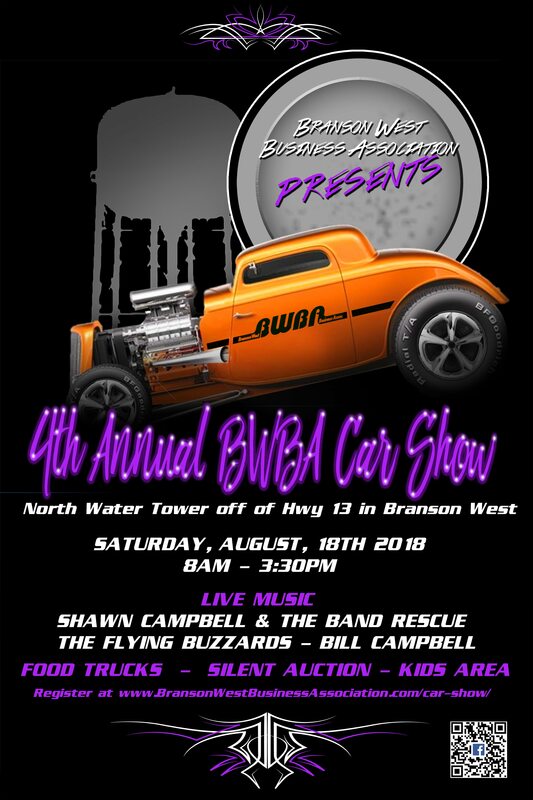 ***NEW*** Visit www.BransonWestBusinessAssociation.com/car-show/ to register your vehicle or vendor booth or to sponsor the event!